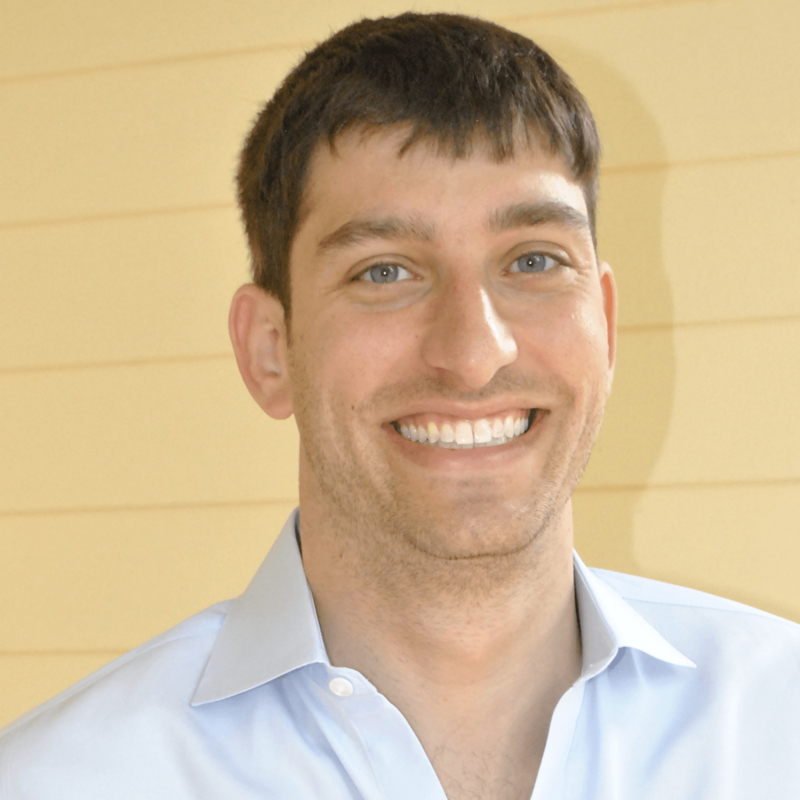 Digital tools offer amazing opportunities for nonprofit fundraising. Never before has your nonprofit organization been able to raise so much from such diverse sources. Your team has likely already discovered the value of incorporating some digital tools into your fundraising toolkit. However, many nonprofits often fall into a similar pattern. Once we find digital strategies that work for us and show some results, it can be difficult to recognize when the time has come to grow our digital toolkits and tap into newer trends. Digital fundraising is never a one-and-done process because effective strategies are constantly evolving. 1. Integrate your digital fundraising systems. 2. Market matching gifts for digital fundraising. 3. Improve your donation page. 5. Identify local partners for digital fundraising. 6. Try new digital fundraising campaigns. 7. Use mobile giving tools for digital fundraising. Remember, new new nonprofit fundraising resources and technologies are constantly emerging. Stay on top of these developments and stay updated with nonprofit blogs and publications. The right tool will not only add to your suite of fundraising techniques, it’ll also make it easier to use them all together effectively. Sometimes all it takes is a nudge to overcome a major fundraising challenge. Use these techniques to find the bit of extra momentum that will help your organization break through! You work hard to spruce up your website. You update your pages for new campaigns and ensure that your donors can always quickly access information or get in touch. However, are you sure that you’re getting the most value from all of your digital tools? By integrating your systems whenever possible, you can can simplify the entire digital fundraising process. Your analytics and other data should be assets, not obligations that eat up your time! Integrate your digital systems to automate a variety of tasks like data input for new and existing donors, updating member profiles, sending emails to specific segments of your mailing lists, automating your matching gift reminders, and more. As an extremely underutilized fundraising resource, matching gift programs could serve as a permanent (and major) boost to your future campaigns. 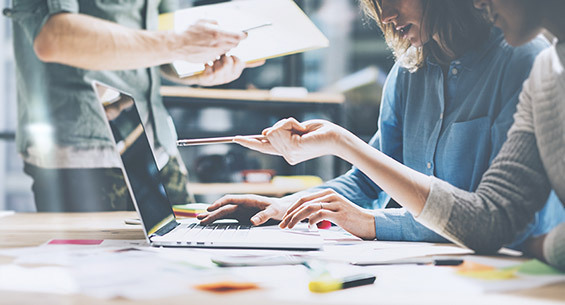 Companies of all sizes offer programs in which part or all of their employees’ contributions to nonprofit organizations, but many donors and organizations are unaware of the extent of these programs. Check out this list of the top matching gift companies from Double the Donation for an idea of the kind of funds you might be missing out on. The key to beginning to benefit from matching gift programs is to incorporate them into your digital fundraising strategies and then market them to your donors. Matching gifts are also an excellent way to develop strong relationships and even sponsorships with the companies that have such programs in place! Your donation page is not only an essential cornerstone of your digital fundraising, it also has the power to inflect your entire online donor experience! Nonprofits learn the hard way time and again that a troublesome or complicated donation process is a major turn-off for donors. 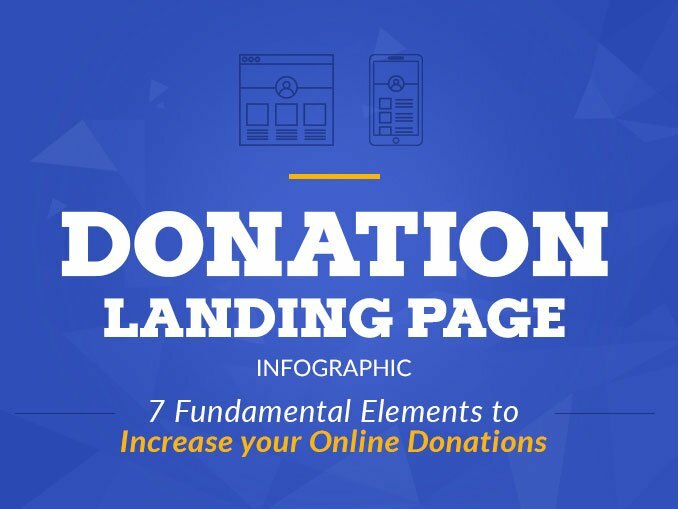 By keeping a clunky donation page in place, you risk losing the attention the online visitors who made it all the way to that final step! Require donors to complete a minimal number of fields. Streamline the design elements of your giving page. Offer a few different giving avenues, like an embedded form and a standalone page. Try to let donors complete the transaction in as few clicks as possible. For an idea of what a fully optimized donation form might look like, check out Donately’s custom pages. Their equal focus on functionality and subtle design strike an ideal balance. Remember, an unoptimized donation page or form can signal to donors that you don’t value their time. 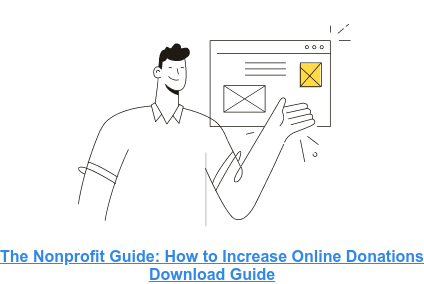 As the final part of the donation process for many of your digital fundraising strategies, it’s essential that your donation page is quick, easy, and makes donors feel valued. You already host some fundraising events, and they’re probably successful. Your regular donors and members likely have a favorite annual event that they look forward to all year, too. Improving your event strategies with technology isn’t about overhauling your fundraising events and replacing them with an entirely streamlined, technology-centric model. Rather, keep your fundraising events as donor-centric as possible, but incorporate your new digital tools in smarter ways. 1. Find a top event management software that can integrate all your data. 2. Plan your event and incorporate some new ways for attendees to give. 3. Host your event and encourage more digital or mobile engagement. 4. Solicit attendee and donor feedback as soon as possible. 5. Compile your data and identify some trends about what works or doesn’t. Digital tools are important for fundraising events not only to increase donations. They also turn your events into significant research and development opportunities, making it easier to learn more about the most effective strategies for donor and member engagement! Sometimes, the fix to a digital fundraising rut is simply to increase visibility of your organization! Rather than always simply increase your digital marketing, however, it can be a great idea to identify some more local partners. This is because these strong networks of relationships are among the smartest investments you can make in your organization’s future. Use local connections to strengthen your ties to your community, your identity or brand image, and your bottom line! Each member of your community network can support the others by promoting their work. If a local school invites you to set up a booth at their fall festival, or a business encourages its employees to volunteer for you, that’s a valuable increase in visibility that can translate into a real boost in your digital fundraising! Newer types of online fundraising campaigns are designed to work organically across all your online engagements. This means that your campaign, your online marketing, your data systems, and your donation processing capabilities can all work in harmony to boost the success of your campaign. If your organization has never conducted a networked or purely online fundraising campaign, now might be the best time to try it out! If you’re prepared to very carefully craft a comprehensive digital marketing strategy for it, your online campaign can be a huge success. Crowdfunding campaigns. Create a dedicated campaign page and set a fundraising goal. Promote your page and let your donors watch your progress bar rise! Online product fundraising. Find a product or fundraising merchandise platform that can let your run a crowdfunding-style campaign by selling branded t-shirts through a platform or separate order form, for example. Peer-to-peer fundraising. Let your volunteers create their own mini-campaign pages. Encourage them with challenges or prizes to fundraise on your behalf! These kinds of campaigns are particularly effective for organizations with strong social media presences or very active marketing strategies. If one sounds like a good idea for your nonprofit, do some research and get started! Finally, explore incorporating mobile donation tools and platforms into your digital fundraising strategies. As an extremely versatile donation tool, text-to-give capabilities can unlock an entirely new type of donor engagement for your organization. Able to be incorporated into practically any fundraising idea, mobile giving gives your donors the ability to very quickly and spontaneously decide to support your work. Mobile giving can be a perfect permanent addition to your toolkit depending on the nature of your work and the scope of your marketing presence. Mobile giving and text-to-give tools might just be the perfect nudge to get your digital fundraising efforts to the next level! If you feel that your organization’s digital fundraising strategies have hit a rut or could simply stand to improve, carefully consider all the techniques listed in this article. The idea of overhauling existing strategies with new technologies might seem intimidating, but simply incorporating a new digital tool or two into your strategies can go a very long way to boosting your fundraising efforts! Are you interested in increasing your online donations? Check out our free guide! Please reach out to us if you have any comments or questions!